Engrave your own distinctive name tags quickly and efficiently with these easy-to-use Scott name tag engraving machines and ready-made name tag blanks. Pre-attached magnets or pins keep the tags conveniently – and securely – fastened. 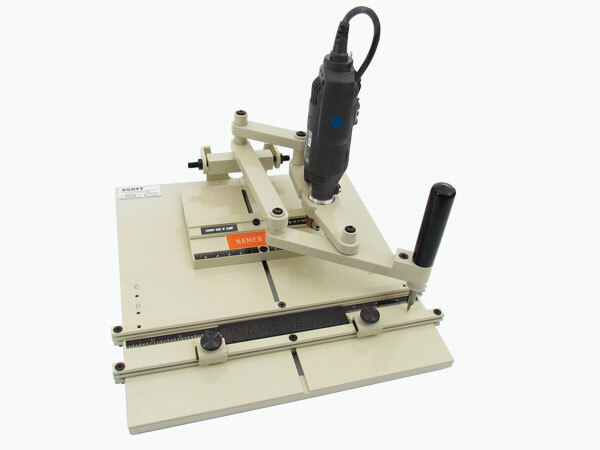 This compact fixed ratio engraving machine reliably creates “first name only” name tags, valve tags, pushbutton I.D. plates and other small items with minimal text. It’s also handy for variable text of similar lengths (e.g., Mark, Sara, #15-4A, Circuit 7B). Fonts and cutters are color coded so that even novices can engrave with confidence. The Scott AutoGraver® computerized engraving machine is the ultimate in versatility, featuring hundreds of font styles and an almost limitless number of sizes. Use this flexible machine to engrave logos, floor plans, schematic drawings and more for professional-looking results. 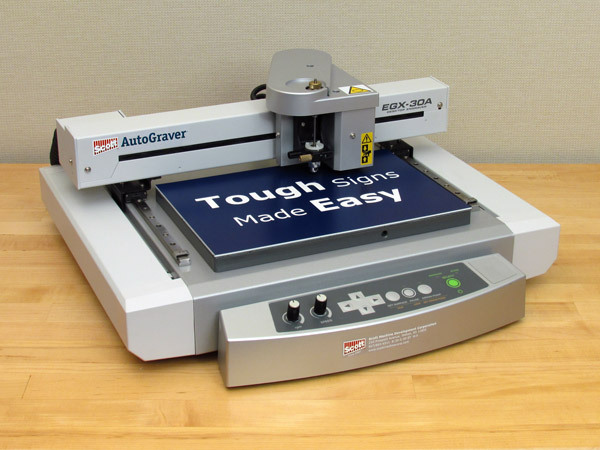 We’ve also bundled user-friendly Engravelab software with the machine for trouble-free startup, design and production that even novices find simple to follow. When a new person joins your staff, make the first welcome sign an attractive, personalized badge that you can engrave within moments of their arrival. 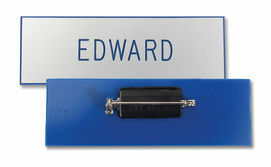 Not just any old type-on-tape badge, but an engraved name tag that accents their professional attire. Here's our popular brushed aluminum surface with crisp blue lettering. Put your company on a first name basis! We can convert most logos into a single-line, engraveable "master" that's perfectly fitted alongside your engraved lettering. We’ll talk you through every step, so do-it-yourself doesn’t mean do-it-alone. And the details --- our 1" x 3" textured, spring green-on-white, rounded corner name tag blank, with a pre-attached magnet, is just $1.95…available with quantity discounts. Let's share the work. 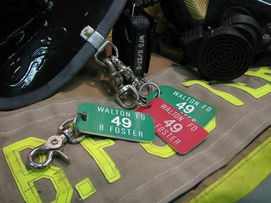 We can provide blank, ready-to-engrave tags. Or let us print your full-color logo and you can engrave the name. Sound the alarm for true creative teamwork. 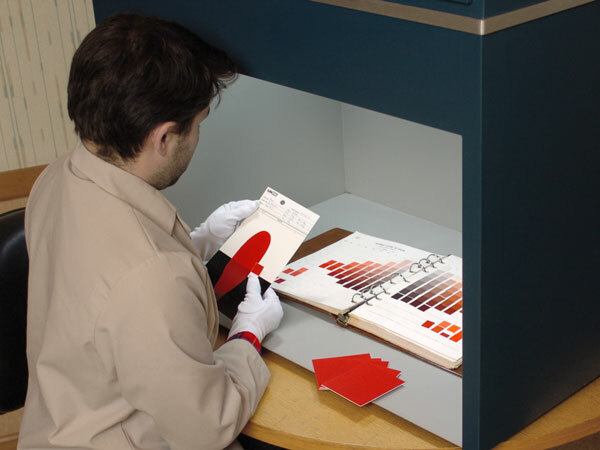 We provide the blank, custom-shaped profiles, then you engrave the names and numbers. Simple, efficient and perfect for even spur-of-the-moment jobs. Need something beyond our many dozens of standard colors, to match your corporate or university palette? Send us your specifications, and our sign professionals can provide custom-colored name tag blanks in your color and design of choice. We’re here to help, in a friendly and timely manner. See…our service is as versatile as our signs!